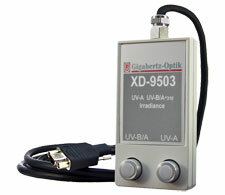 XD-95 2-sensor detectors include broadband UV-A and UV-B as well as narrowband UV-A and UV-B spectral responses. 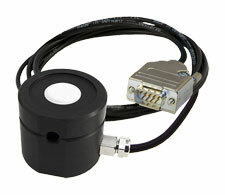 They are designed for use with Gigahertz-Optik's multi-channel X1 and X9 hand-held optometers. The ability to measure two wavelength ranges without having to change the detector head and relocate it for measurement greatly simplifies and speeds up the measurement procedure inside phototherapy exposure equipment. The detectors are supplied with a 2m long coaxial cable with -4 type connector for use with Gigahertz-Optik�s range of optometers. Internationally traceable calibration & certification of UV irradiance in Wm� and W/cm� within the specified spectral sensitivity range is provided.